If you own your building or your lease requires you to carry the insurance, are you adequately insured? You want to make sure you have the appropriate limits before a loss occurs. The definition of the building is the structure itself. Keep in mind the value of the land should never be included in the limit. Ask your agent for help. NIE orders detailed on-site surveys on every property we insure. Upon receipt of that survey, we will prepare a detailed replacement cost survey on that building. We will send you a copy of that survey to make sure you are in agreement. If you feel changes need to be made, you may make those changes and send back to NIE for revision. Remember, the market value of your building is not the same as the insurable or replacement value. You may be able to sell the building for $1,000,000, but it might only cost $500,000 to rebuild – big difference and important to understand. Actual cash value – the “replacement cost” of the building, minus physical depreciation. Buildings are normally depreciated 1% per year of age. 50% depreciation is the maximum NIE depreciates buildings in the event of a loss. Your Business Personal Property is located in or on the building described on the declarations pages of your policy or within 100 feet of the described premises, consisting of furniture and fixtures, machinery & equipment, stock, improvements & betterments (which includes fixtures, alterations, installations or additions – all things you cannot take with you). It also includes any leased Business Personal Property for which you have a contractual responsibility. Take a personal inventory of all your Business Personal Property and write everything down. Calculate figures for replacement cost value on each item to determine a limit. Make sure taxes, installation and delivery are included. Ask your agent to review and see if they have any suggestions and/or changes to make. If you are an NIE policyholder, we have designed a replacement cost survey to help you determine an adequate limit for your Business Personal Property so you can avoid costly insurance mistakes. It is a great tool to take advantage of. Once you complete the survey, we input the data in our program and send you a copy of the report to make sure you are in agreement. If you need to make revisions, we will make the changes and send you a revised survey. Your Business Personal Property may be insured for replacement cost value or actual cash value. The Business Income pays your gross profits (before income taxes), fixed payroll and any other continuing expense the business is prevented from earning during a covered period of loss by a covered cause of loss (peril) in the policy. Your Bailee provides coverage for your customer ’s property while it is in your care, custody or control, as well as in transit, loss by theft, fire, lightning and explosion. This is a coverage you absolutely need, so check your current policy or ask your agent to get you a quote on this coverage. Damage in Process is available which covers operator errors, ink loads, lipstick loads, shirt machine malfunction and shrinkage of garments. Mysterious Disappearance can be covered and protects you in the event you give the wrong orders out to customers or simply cannot find the customer’s order. Your Bailee coverage is part of the livelihood of your business. You always want to make sure your customers are your top priority and avoid costly insurance mistakes. Please review your current policy to make sure you are insured properly. Unlimited Bailee coverage is the best coverage available. When you have Unlimited Bailee coverage, you don’t have to guess the total value of all customer property in your care or pay the difference when your guess is too low. Does your current Bailee cover Flood? Most policies exclude flood. Your agent can get you set up with a flood policy through the National Flood Insurance Program, but it won’t cover bailee. Bailee is the only coverage on the NIE policy that includes the peril of flood. If you have never had a Bailee claim, ask your current agent how they pay the Bailee claims. What kind of formula do they use? 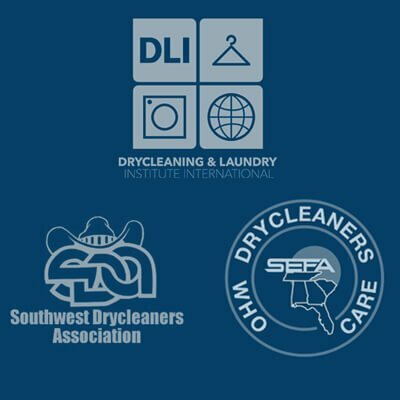 NIE uses the Drycleaning and Laundry Institute’s Fair Claims Guide to settle claims. The Liability coverage protects your business from third party injuries. For example, customer trips and falls. Always make sure you are thinking about your customer when they come in and out of the store. Their arms may be full and their view may be obstructed. Make sure there is no tripping hazard as they come in with their clothing. Dry cleaners are highly reliant on equipment. Whether it’s a boiler that supplies steam and hot water, or an electrical distribution system that powers high-capacity washers and dryers, equipment is the lifeline of a dry cleaning operation. When equipment breaks down, the cost of repair can skyrocket and in many cases, losses are compounded by business interruption that further impacts the bottom line. Equipment breakdown coverage is included on the NIE policy in most states. In the remaining states, we provide access to a separate policy for equipment breakdown, making sure you avoid costly insurance mistakes. Most companies require that boilers and pressure vessels be inspected annually by commissioned inspectors and a certificate is issued. That fee is normally your responsibility. Keep your boiler maintained to avoid claims.